Build a New Home in Sugarmill Woods, Homosassa Florida - Wheeler Construction Inc.
For security and luxury, nothing compares to Sugarmill Woods. 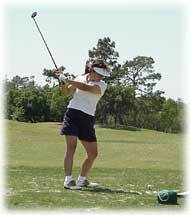 This deed restricted, golf course community is located in Citrus County, along the west coast of Florida. This area is also known as the Nature Coast. One look at Sugarmill Woods will explain why: lush native vegetation, twisting oaks, and towering pine trees fill the community, lending to a spectacular sense of privacy and exclusivity. 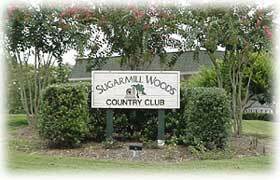 Sugarmill Woods is situated in a prime location. With construction of the new Suncoast Parkway completed just down the road, the area is buzzing with prospective residents from the Tampa Bay area. As the area grows, however, Sugarmill Woods ensures its own residents continued peace and security by limiting deeds in the community. Houses here are incredibly maintained and landscaped, especially those located along the beautiful 18-hole golf course. With spacious lot sizes, residents can enjoy excellent backyards and front yards, and many have splendid views of the course. Sugarmill Woods Golf & Country Club is truly a magnificent course. Plush fairways and rough, and slick sliding greens are a great challenge to even the lowest of handicappers. Golfers will enjoy the twisting holes, filled with obstacles and hazards to negotiate, as well as the beautiful natural scenery and luxurious homes lining each hole. Just minutes away from home, residents can enjoy other recreation, including boating and fishing. For the family, Homosassa Springs Wildlife State Park offers a rare glimpse at native animal and plant species. Florida panthers, alligators, flamingoes are just some of the animals showcased. Dive into the Fishbowl, where visitors are eyelevel with the renowned manatee. The gentle marine mammals playfully roll through the water, even venturing to the glass and peering just as curiously at the human observers. There is no short supply of excellent dining around Sugarmill Woods. With Homosassa and Crystal River nearby, one can enjoy some of the freshest seafood around. Brooksville also has plenty of chain and family owned restaurants, from steakhouses to fine Italian and more. For security, privacy, and a great feeling of exclusivity at an affordable cost, Sugarmill Woods is the ideal community. Active adults, seniors, and young families alike will appreciate the peace and quiet, as well as the variety of activities and recreations available. Visit Sugarmill Woods and let the search for your dream home begin.